Moving premises or re-organising your workshops? We can disconnect, move, re-position and re-connect your workshop equipment to your specifications and time scale. We can also offer temporary storage facilities for equipment at preferential rates if your new workshop is not quite ready. 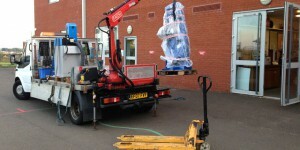 Haulage can be arranged to collect and return equipment as required.